Championship: What happened on matchday 8? / Ragahouse.com Championship: What happened on matchday 8? Championship: What happened on matchday 8? 2018/19 KRU Championship entered matchday 8 on Saturday Jan 26 with all 12 sides in action across the Country as race for playoffs and direct semifinal intensifies. Mombasa RFC hosted Kisumu and won 15-13 with Patrick Mwakina and Sammy Maraga scoring tries for the home side. Elias Gitonga booted in five points for Mombasa as Maurice Osano and Israel Makokha went for Kisumu( Felix Ochieng with a penalty). Mombasa picked four points from the win to climb three places now with 17 points, above MMUST and Ngong RFC. Kisumu picked a losing bonus to stay fourth with 18 points. 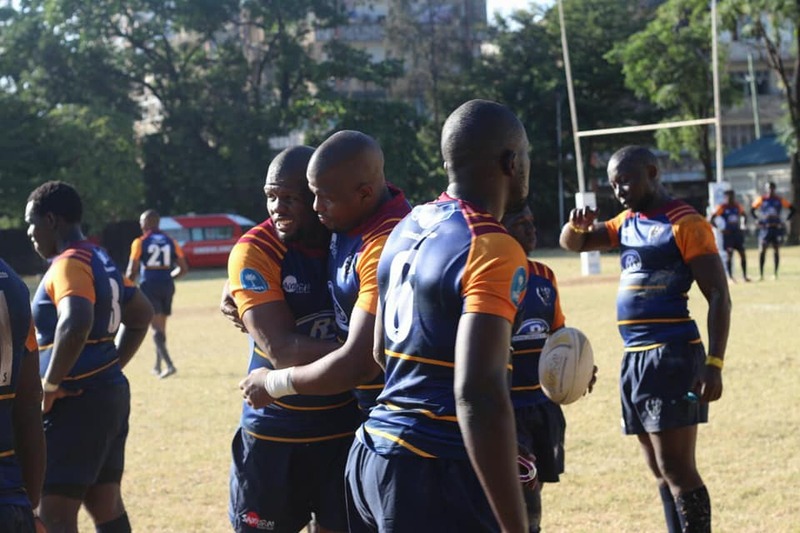 Western Bulls won on the road beating Ngong RFC 8-15 to move to 28 points, three behind USIU who beat MMUST 27-8. Kisii RFC didn't travel to Ukunda meaning South Coast Pirates get a 24-0 walkover. Catholic Monks beat UoE 24-13 while Kitale Rugby lost 12-11 to Egerton Wasps.